Love Your Dog The Way He Or She Loves You! Indeed, for us dog lovers, we know all about what makes our darling hound tick, for all the right reasons. 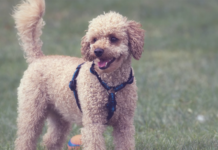 In fact, it may seem like we spend a vast amount of our time, energy and money on ensuring that our darling doggy has the happiest life possible. 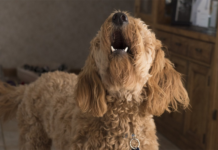 That long list of doggy demands may also include countless packets of treats and goodies for your hungry hound to indulge on whenever they perform a cool trick or simply stare at you with that pitiful, ‘I need something tasty right now’ expression on their face! 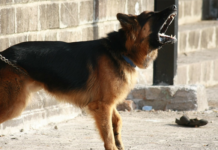 Of course, there are plenty of shop-bought treats that your dog may adore, but do all of those treats really adore him? 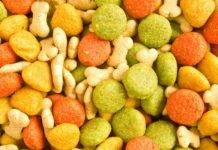 Let’s get one thing straight here from the start; not all dog treats are healthy, in fact, many of them are laden with ingredients which are going to do your precious pooch no good at all! 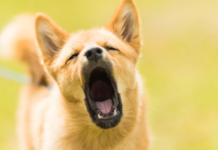 If you are insistent on buying treats for your dog from the store, try to choose ones that are made from natural ingredients and are not loaded with chemicals and synthetic flavors that can wreak havoc with your dog’s insides. However, if you really love your dog, why not treat hum to a little home baking? After all, us humans know all about how tantalizingly amazing those homemade cookies fresh out of the oven are, right? Can anything really compare to the smell of cookies baking in the oven? Actually, yes it can, and that is when you get the chance to sink your teeth into one of them! 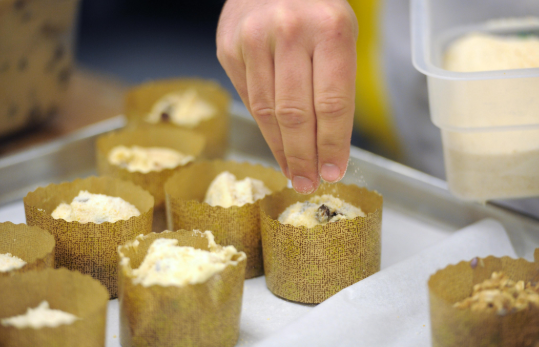 Do you not think that your darling doggy would have the same appreciation for homemade baking? Why, of course! Although, you may be wondering where on earth you can get a recipe for healthy doggy cookies from. After all, you are very well aware that your human chocolate chip cookies are not going to do your dog any favors, no matter how pitiful those big eyes are! That is why we are going to indulge you with a recipe which we are sure your dog is going to adore us for. What are we talking about? Your very own banana flax vegan dog biscuits! We know that your mouth may be watering here too as you read the title of these moreish and tasty treats designed for your number one fan, that precious pooch of yours! Ready to learn how to make yourself your dog’s favorite person in the whole wide world? We thought so! Let’s get started. Making these scrumptious treats for your darling doggy doesn’t need to be rocket science, in fact, it really is as easy as three simple steps. (In advance, set your oven to 350 degrees and oil a good-soz cookie sheet then cover with parchment paper). Take a mixing bowl and add your flax seeds, oats flour, cinnamon and a little salt to the mix. Give it all a good mix until everything is well combined. Once your mix looks good, add your melted coconut oil, mashed up banana and a quarter of a cup of water and mix again. It should look pretty thick but add a little more water if it feels too stiff to mix. Take one tablespoon of the mixture and place it on your prepared cookie sheet, giving it a little flatten as you do. Do this for all of your mixtures. Whilst you are busy mixing the ingredients we expect your pooch will take an interest in what is happening. After all, anything that is happening in the kitchen has the potential to be exciting in the eyes of your dog1! However, it is likely only once the baking period begins that your pooch will really start to take an interest. You can expect a nose to be pressed up against the oven or at least pointing in the direction of the heavenly smell that is starting to envelop the kitchen! Remember, your dog may be a big part of your life, but you are his entire life! Be the person your dog thinks you are and spend an hour in the kitchen that is entirely devoted to your doggy’s taste buds. Trust us, when these banana flax vegan dog biscuits come out of the oven, your dog will fall even more head over heels in love with you than they are right now. 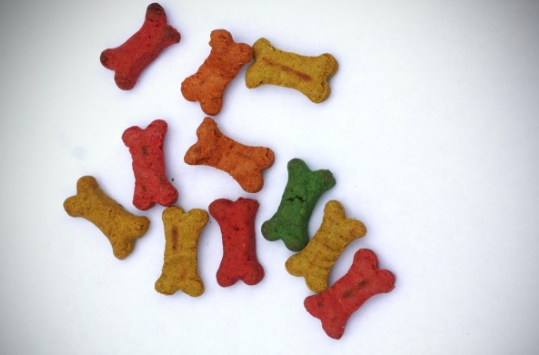 Indeed, they could easily become the new thing on your dog’s guilty pleasure list!